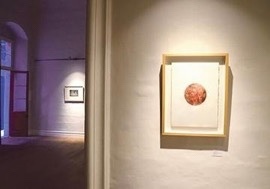 Printmaking in Malta is the focus of a new exhibition currently on at the Malta Society of Arts in Valletta. This annual exhibition promotes local and international artists working in original printmaking. This year’s edition is the first curated intaglio exhibition to feature established local and international artists, as well as exhibiting original artworks by world-renowned artists such as Marc Chagall, Marino Marini, Victor Pasmore and Julian Trevelyan. 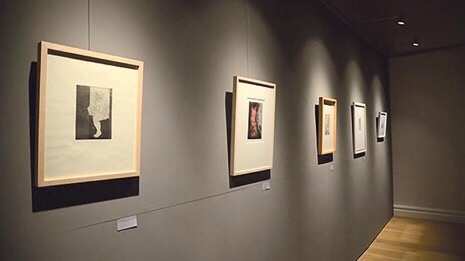 This exhibition is also giving special attention to artworks of Italian master etcher Gianfranco Ferroni, with seven of his works on display. “This year’s exhibition is a beautiful synthesis of refined versatile works and it breathes an inventive graphic dialogue between international and local artists,” said curator and artist Roderick Camilleri. These include Pawl Carbonaro, Luciano Micallef, Eman Grima, Austin Camilleri, Robert Zahra, Richard Saliba, John Vassallo, Jesmond Vassallo, Justin Falzon, Raymond Pitrè, Lino Borg, Irene Zammit, Robyn Smith, Daniela Pili, Misaki Oguro, Tomiyuki Sakuta, Caronline Koenders, Youssef Elkahfaï, Olaugh Vethal and Tazi Saad. 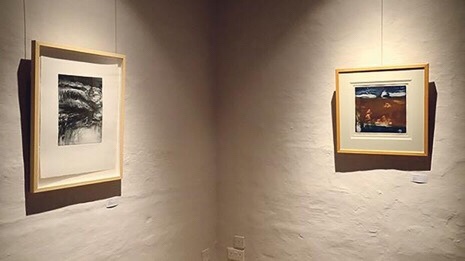 “It is an exclusive event where the public can engage with original local and international artworks that have previously never featured together in Malta,” continued Camilleri. This exhibition is being held at the newly-refurbished galleries at Palazzo de la Salle in Republic Street, Valletta, until Saturday, December 9. Opening hours: Monday to Friday from 8.30am to 7pm, Saturdays from 8.30am-1.30pm. Entrance is free.